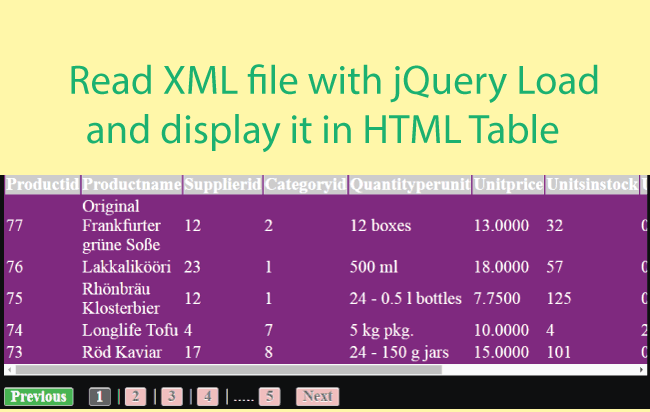 Load an XML file using jQuery Load Method. Display it in a HTML table. The HTML table has pagination system. Due to this pagination system the XML data will be shown in page by page manner. This whole thing will be based on AJAX. Note: The XML reading method that I will use will support any XML file with any format. In this example I am taking an XML file that contains detail of 25 products. 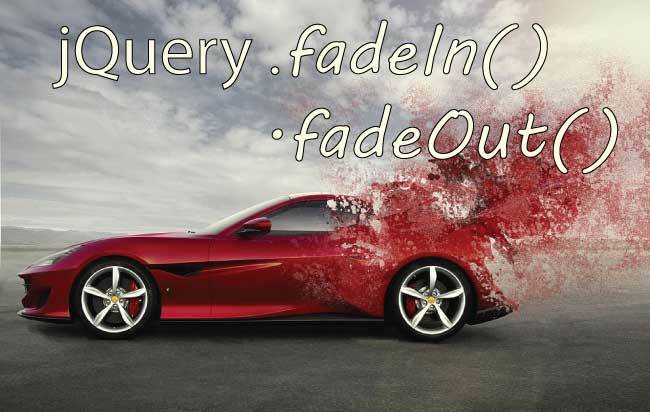 I would also suggest you to take a look on jQuery Load tutorial to understand it’s syntax and implementation. Let us now start building the codes. 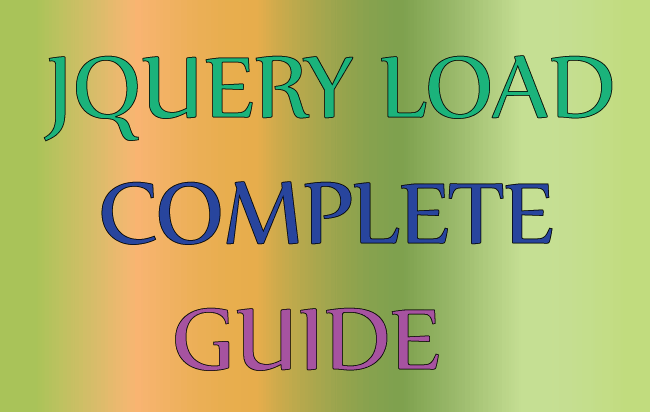 Here I will read the XML file from the HTML page using jQuery .load() method. You can use any web page for the matter (.aspx, .cshtml, .php, etc). On the loadButton click, the XML file will be read and shown inside the tempDiv. I will then convert the content of tempDiv to HTML Table and shown it inside the resultDiv. The pagingDiv will contain the page links for navigation from one page to another. The loadingImg will show a loading image during AJAX call. The click event of the button first loads the XML file and shows it inside the tempDiv. This div remains hidden all the time. Inside the Callback function I check if status is not error. Then I am hiding the loading image and calling the DisplayXML() Function. This function is the brain of my code which does the XML to HTML conversion and then displays it. It takes pageNo as its parameter because it shows the XML in page by page manner. I loop through all the nodes of the XML file and append them to a table. 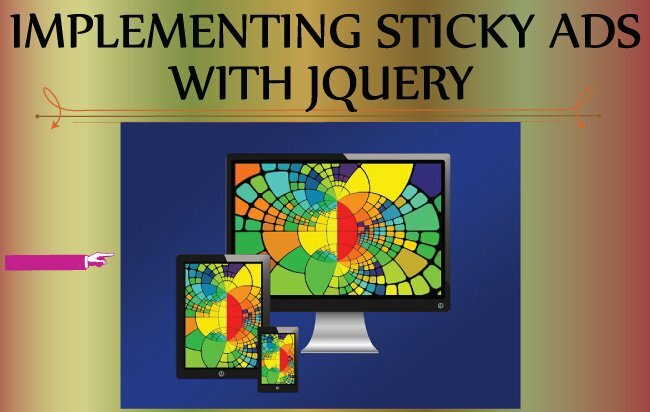 The appending is done through jQuery Append method. 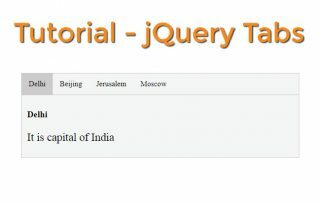 The Paging() function creates the Pagination links using jQuery Pagination, and helps user to read the XML in page by page manner.